The goddess Dolly Parton is forever our style and beauty icon, so we’re excited that her latest single, “Head Over High Heels,” references a favorite item from the legendary singer’s closet. While the song is an ode to fellow songstress Adele’s winged eyeliner, it’s also a true testament to Dolly’s favorite type of footwear. You guessed it, HIGH HEELS! In this clip, premiering exclusively on HelloGiggles, Dolly (WEARING SEQUINED LEOPARD PRINT!!!) explains that she thought the song was cute because she “always wears high heels, and you always heard people say I’m head over heels in love with somebody.” Dolly also says if she ever does a video for it, she’ll have other gals walking around in high heels with her. Um, can we be in the video? 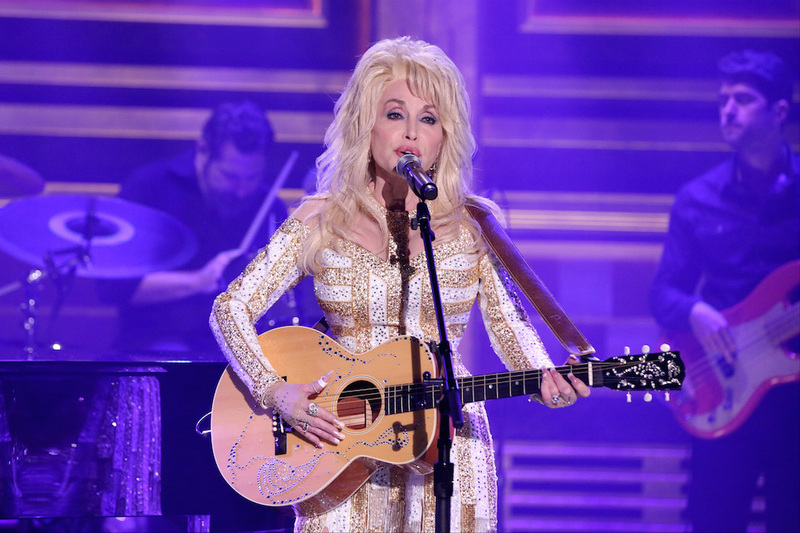 Watch Dolly, who is currently on tour for her album Pure & Simple, be as charming as ever in the clip below!